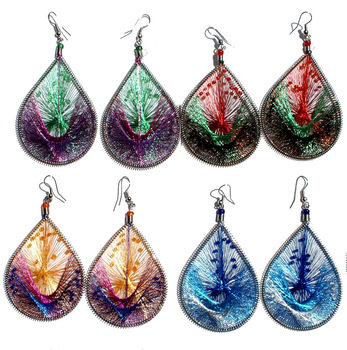 Handmade colored Peruvian silk thread earrings of different colors. Handmade in Peru. We at C2A Enterprise are selling a wide variety of Peruvian handmade jewelry and other products. We are also selling handmade ethnic products from different countries.